Nonwovens Markets - Fastmarkets RISI - Objective Insight. Better Decisions. 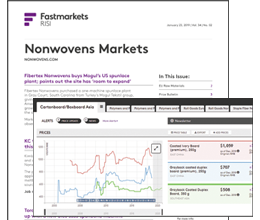 Fastmarkets RISI's Nonwovens Markets Service gives you in-depth access to the most news available on the nonwovens industry from around the world. Nonwovens Markets Newsletter: This twice-monthly newsletter covers developments in the nonwovens industry around the world. It analyzes complex industry issues, and offers insight into company strategies, market growth and technology trends. Track competition with news of mergers and acquisitions, corporate strategy and financial results. Every month, the price bulletin report provides estimates of both U.S. and European transaction prices for raw materials, fibers and roll goods. It is accompanied by the Price Trends column that tracks U.S. pricing changes for nonwovens, converted products, absorbent products and tissue. 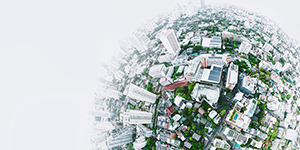 Every quarter, U.S. nonwovens import and export figures are reported, plus regular updates for production figures for the U.S., Europe and Japan.